A couple of weeks ago, at church, we honored our graduating high school seniors. The sermon that day was in the form of advice to those setting out into adult life. What caught my ear was the second point, to “gather your chairs into a circle.” What does this mean, and how does it relate to recovery? We sometimes “turn our chairs away” and isolate ourselves, especially when life is hard. At most of my meetings we sit in circles or around a table, facing each other. In our circle we are not alone. 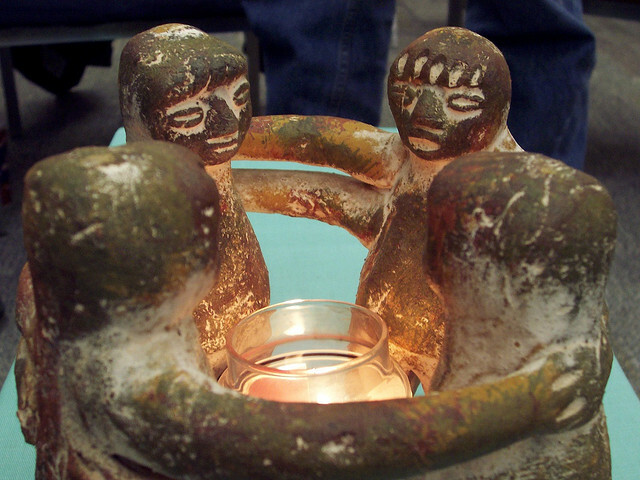 In our circles we discover shared experience and share strength and hope. 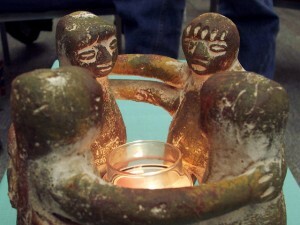 So come into the circle, or find some others and gather your chairs into a new circle. I also talked a bit about stress and how it has affected me recently. I have been putting my very busy work ahead of “the rest” of my life. When I come home, I just want to “veg”. I feel overwhelmed by all the things I have to do, and so I shut down and don't start any of them, because it's “hopeless” to think I could ever do them all. Which, of course, leads to guilt over not having done them. How am I working my way out? First and foremost, recognizing the problem. Admitting it, asking for help. “Doing the next right thing.” Shedding some responsibilities, and deciding what is most important, and putting that first. In “my life in recovery”, I mentioned an episode of the podcast Podcast Answer Man, which touched me deeply. Upcoming topics include worry, obsessive thinking, and some more Concepts of service. Please call us at 734-707-8795 or email feedback@therecoveryshow.com with your questions or experience, strength and hope. Or just leave a comment right here. Have you ever wondered, “Why do I need to go to meetings? Can’t I just read the literature?” Today, Spencer and Wendy talk about Face to Face meetings and why they are important. What resources have you used / do you use in your program? How have these helped you? How is each different from the others? Could you do your program without going to meetings? What do you get from meetings that you don’t get from other resources? How does going to a meeting help others? How does it help to build a community of recovery? Has there been a time when you were unable to or just didn’t go to meetings? What did you do then? Our topic for next week is Relapse. A listener wrote, suggesting this topic, “I think relapse would be a good topic. So many of us, parents especially, naively believe that our loved ones will emerge from rehab as if from a car wash–scrubbed clean and ready to go. As we've all learned through hard experience, it's not that easy, since addiction, alcoholism and codependency are spiritual illnesses that only long-term spiritual recovery work can address.” Have you experienced relapse of your loved one? Did you see it coming? Or were you “on the pink cloud”? How did you react or respond to the relapse? Please call us at 734-707-8795 , use the voice mail button to the right, or email feedback@therecoveryshow.com with your questions or experience, strength and hope. Or just leave a comment right here.